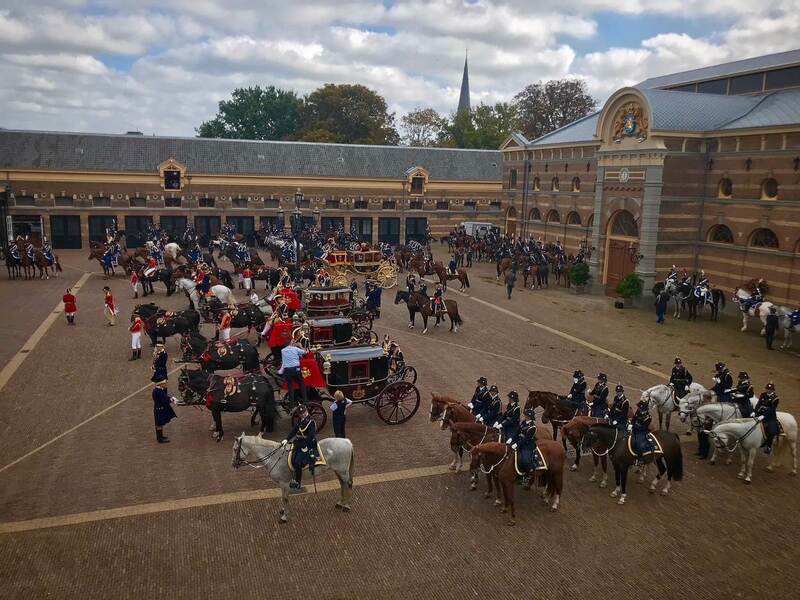 The Royal Stables is responsible for transport for all the members of the Royal House and Officers of the Royal Household. The Royal Stables looks after the royal limousines and the royal motor coach, as well as the horses, carriages and coaches belonging to the Royal House. Members of the Royal House may also use the royal train and the government aeroplane, which the King often flies himself. The Stables forms part of the Civil Household and is headed by the Crown Equerry, who is responsible for organising the royal procession for the state opening of parliament and other public occasions. The Stables also houses the harness room. The ceremonial harness kept there is used on occasions such as the state opening of parliament, state visits, and royal weddings and funerals. Ordinary tack is used for the horses’ day-to-day exercise.